LoveNotes-DFW Clergy Services is an organization of licensed, ordained, experienced, non-denominational ministers who provide ministerial services for weddings, vow renewals, memorial services, baptisms, children dedications, quinceañeras, blessings, etc. Weddings do, however, make up 90% of our business. LoveNotes fills the need for people who do not have a connection with a particular place of worship or who do not personally know a minister, priest, rabbi or judge who can perform these services for their special event. Is LoveNotes a ministry or a business? Yes and yes. LoveNotes is not funded by a church although all the officiants on staff are ministers. LoveNotes is not a ministry that enables us to do business. Rather, it is a business that allows us to have a ministry. We believe we should try to be ‘all things to all men’ (I Cor. 9:22). If we can minister to you and meet a need, then we are blessed to have been able to serve you. How important is it to choose the right minister or officiant? Aren’t they all pretty much the same and do the same thing? A car is a car, but a Pontiac is not a Porsche. You are looking for dependability and performance. The same holds true with the wedding officiant. There are only 3 things needed for a wedding: #1–the bride and groom, #2–the marriage license and #3–the officiant. Without the officiant, there is no wedding. At LoveNotes we believe that your ceremony is the main event. The officiant sets the tone for the ceremony and the ceremony sets the tone for the rest of the celebration. So choose a wedding officiant who not only will make it legal but who also will make it lovely. Whether you choose to have a ceremony that is serious and solemn, or upbeat and celebrative, formal or informal, LoveNotes Ministers will create the atmosphere and mood that you desire for your big day. The LoveNotes Ministers / Officiants are on the ‘Preferred Vendors List’ of more than 1000 different wedding venues, vendors and wedding professionals. They ‘prefer’ LoveNotes because they know we are committed to being: Punctual, Available, Flexible, Sensitive, Dependable and Professional. Our philosophy is ‘as you wish…’ and so our gift to you is Rev. 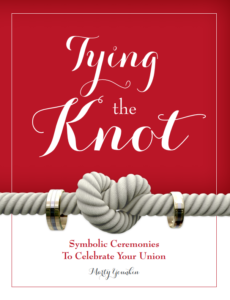 Marty Younkin’s book, ‘A Wedding Ceremony to Remember'(#1 best seller on Amazon.com) to help you custom design your ceremony, organize your rehearsal, and take you step by step from the entrance to the exit. Read reviews on www.amazon.com. Will LoveNotes Ministers meet with us if we want to? Of course! If your schedule allows, we want to be available for you. Once you fill out the Contact Us form online, you will be assigned a LN Minister. The Minister will contact you within 24 hours to see if you would like to set up a time to meet. They would love to get to know you better and are more than happy to help you in any way they can. However, they do not require you to meet with them if your schedule does not permit. Many questions may be answered by phone or email if it is more convenient to communicate this way. What if my assigned minister is unable to perform my wedding due to an emergency? That will rarely happen, but in the event that it does, that is the advantage of having a multiple staff. All of our ministers are trained to conduct ceremonies in the exact same manner, so any one of them can officiate in case an emergency should arise. All your paperwork and rehearsal and ceremony worksheets will be given to the ’emergency minister’ in order to take good care of you. That is why it is important to fill out these worksheets in their entirety. What if my assigned minister is unable to attend the rehearsal? If your assigned LoveNotes Minister is unable to attend your rehearsal due to scheduling conflicts, etc., then another associate minister or rehearsal assistant on the LoveNotes staff will be there to direct your rehearsal. All the associates on the LoveNotes staff are trained to conduct the rehearsal in the exact same way, and all wedding rehearsal notes will be communicated to your assigned minister by the associate who conducted your wedding rehearsal. Is it really necessary to have the minister attend the rehearsal if the wedding coordinator will be there? How perfect do you want your wedding to be? The coordinator and the minister are each experts in their own fields. They draw on their own experience and expertise and work together as a team to make your ceremony flawless. The rehearsal is the time to work out any problems, make any changes and practice the ceremony so everyone knows who does what, when, where and how. The minister, above all, is the one who needs to be aware of all the ceremony details since he is the one who conducts the ceremony and has the role of ‘master of ceremonies.’ If he is not at the rehearsal and changes are made without being communicated, well…guess what happens? Since the ceremony sets the stage for the rest of the celebration, being well prepared allows the minister to get things ‘kicked off’ on the right foot. What if I don’t feel comfortable with my assigned minister? Once again, that is the advantage of having a variety of ministers on our staff. Our main goal is to make sure you are comfortable with your assigned minister. If, for some reason, you feel like you don’t ‘connect’, then another one will be assigned to you, if you wish, depending upon availability. Can we choose the kind of ceremony we want with special wording, traditions or creative ideas? Absolutely! 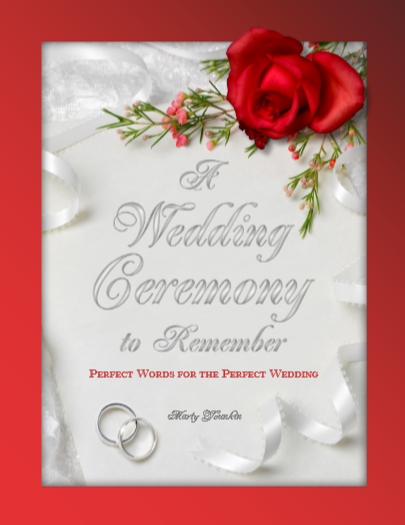 Our motto is ‘Your Wedding Your Way.’ When you secure our services, we will send you a complimentary copy of the online book, ‘A Wedding Ceremony to Remember.’ It is designed to help you choose the perfect words for the perfect wedding. You also may include materials from other resources in addition to the ideas in our book. We want you to have the wedding you have always dreamed of…as you wish. Will LoveNotes Ministers perform non-religious ceremonies or do I need to get a judge? Yes, LoveNotes Ministers will perform non-religious or civil ceremonies. The difference between a judge and a minister is this: A judge is licensed by the state to perform civil ceremonies only, whereas, a minister is ordained by God and the Church to perform religious ceremonies, but also is recognized by the state to perform civil ceremonies if he / she chooses to do so. We believe the institution of marriage is ordained of God. Whether a couple chooses to acknowledge God or not in their ceremony is their choice, just as it is our choice to perform civil ceremonies as well as religious ceremonies. Do LoveNotes Ministers perform Interfaith ceremonies? Yes. We recognize that people come from various religious backgrounds and cultural traditions. Sometimes the couple will accommodate both families by having two different ceremonies to honor their individual heritages. But most often the couple will incorporate both their traditions into one ceremony. 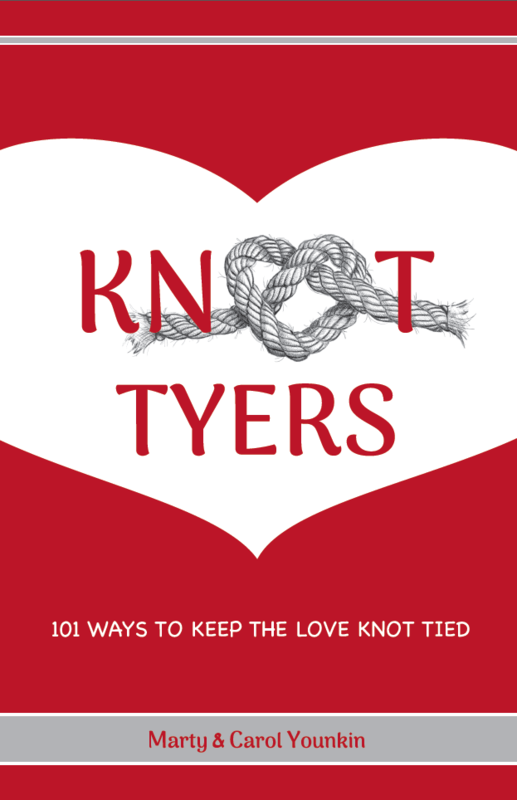 Again, we believe ‘all marriage should be honored by all men’ (Hebrews 13:4), and we wish to honor that by ‘tying the knot’ for couples regardless of their cultural or religious backgrounds. What do you wear to the wedding? If you have a themed wedding, we will try to accommodate you if you wish. No, we do not require it. However, we would strongly advise that couples get some type of counseling or guidance to help them prepare for the journey that lies ahead. Remember, the wedding only lasts for a day, but the marriage lasts for a lifetime…or not. LoveNotes now offers the first certified online marriage counseling course–see Marriage 101 Online. We also have several state certified and licensed marriage and family counselors who are associated with LoveNotes if you desire personal counseling. In addition, there are many excellent premarital seminars offered by various churches and organizations throughout the DFW metroplex. What are the requirements to get a marriage license? Please see our Marriage License page for full details. Both the bride and groom are required to apply in person at any county clerk’s office in the state of Texas. A license obtained in one county is valid in any other Texas county. To obtain the marriage license, you must each take two forms of identification (i.e. driver’s license, social security card, military id., passport, certified copy of birth certificate). The fee for a marriage license is approximately $73-$81 (depending on county)–cash only. But if you go through the State of Texas Marriage Education Counseling Class www.twogetherintexas.com or Marriage 101 Online, it is discounted $60. The marriage license is valid for 90 days from issuance with a 72 hour waiting period before the ceremony may take place. There is no such thing as ‘just a 20 minute ceremony.’ Regardless of the length of your ceremony, many, many hours behind the scenes go into making your ceremony as perfect as it can be. You are paying for the expertise, experience, and education that the officiant brings to planning your ceremony. Each wedding requires hours of planning, preparing, writing, assembling, and practicing your ceremony. It requires meetings, unlimited communication with the couple and/or vendors as needed. It requires becoming familiar with all the ceremony and rehearsal details in order to conduct your wedding your way. It includes the filling out and filing of the marriage license. It requires travel time to and from consultations, the rehearsal and the wedding itself. So you can see that ‘just a 20 minute ceremony’ involves much more than just 20 minutes. See the LoveNotes Wedding Package. How does LoveNotes charge for these services or is payment by honorarium? Since LoveNotes-DFW Clergy Services is a business (not a church), we are like all other vendors in that we have set fees for our services. The LoveNotes Minister does not receive a salary in addition to his services. He receives only the balance from the stated fee. A deposit is required to secure LoveNotes services with the balance due 2 weeks before the day of the event sent to your assigned minister. See Fees Page. What if someone else requests the date and time I want before I return the contract? Upon your initial request, we put you ‘in pencil’ on our calendar. Once we receive the contract and deposit, we put you ‘in ink.’ If another bride requests the same date and time and you have not yet submitted your contract and deposit to LoveNotes, we will contact you first to see if you still need our services. If, after 24 hours we have not heard from you by phone or email, your date and time will be given to the other bride. Because LoveNotes Ministers are in high demand, it is important to return the contract and deposit as soon as possible to secure your date and time. Yes. We give discounts to all active military personnel for wedding services. This is LoveNotes way of saying thank you for your sacrificial service to our country. Please see Fees Page for discounts. Please see our Fees Page for all services and fees. The average fee for a Wedding Minister / Officiant in the DFW Metroplex is $200–$600. We are in the middle. Our goal is to give you the best service at a fair price. At $300-$500, the LoveNotes Minister is still one of the least expenses for your wedding but also one of the most important. LoveNotes-DFW Clergy Services is a full time business, not a part time sideline. YOU are OUR business, 24–7–365! How do we reserve LoveNotes for our wedding? A) Call Rev. Marty Younkin at LoveNotes-DFW Clergy Services at 817.917.5540. Leave the date, time and location of your wedding along with your name and telephone number and your call will be returned promptly. B) Fill out the appropriate form on our Contact Us page.